Conveniently located in Monmouth County, Thoracic Group consists of two expert thoracic surgeons who have been performing Video Assisted Thoracic Surgery (VATS), a procedure they helped pioneer, to treat cancer, remove tumors, and treat conditions such as hyperhidrosis and Myasthenia Gravis since the early 1990s. Doctors Robert Caccavale and Jean-Philippe Bocage, who work together in the operating room, have completed more than 7,000 successful VATS procedures, helping patients both locally and nationally. 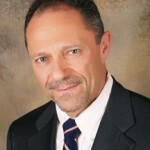 Dr. Caccavale is the Chief of the Thoracic Surgery Division at Somerset Medical Center. He completed his medical degree at the State University of New York Buffalo School of Medicine. He then completed his general surgery residency at The Booth Memorial Medical Center of New York University. His cardiothoracic surgery residency was completed at the State University of New York Health Services Center at Brooklyn. He is a clinical associate professor at Rutgers Robert Wood Johnson Medical School. 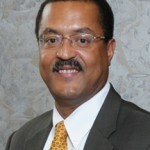 Dr. Bocage is the Chief of the Thoracic Surgery Division at St. Peter’s University Hospital. He completed his medical degree at UMDNJ-Rutgers Medical School. His general surgery residency and his cardiothoracic residency were both completed at Robert Wood Johnson University Hospital. Lung Cancer: Our surgeons treat this condition, most frequently diagnosed in former or current smokers, using minimally invasive thoracic surgery. This prevents the need for an open thoracotomy, which can lead to further complications and longer recovery times. Second Opinion: Patients who are making possibly life-changing decisions about their health should consult with our experienced surgeons to ensure that they are choosing the safest and most beneficial surgical option. Hyperhidrosis: This condition causes excessively sweaty palms, making social interactions for those suffering extremely challenging. With a simple VATS procedure, our surgeons can permanently limit the impact of the condition. Patients in Monmouth County can visit our office in Freehold on the CentraState Medical Center campus. The office is located off of Route 9, on West Main Street (Rt. 537).